The garage door needs to be in top working condition at all times. However, like with many other things, garage door suffer all sorts of damage. Below we look at some of the common things that can damage your garage door. We also look at the different ways you can prevent these things from destroying your door. It is said that there is rat for every human being on earth. That means that there are over 1.5 billion rats and mice roaming the Earth. With that in mind, it’s easy to see how a rat can find its way into your garage. These tiny rodents eat everything, from chewing on wooden garage door panels to electrical cable insulation. The damage to chewing the door is that they make the door weak and eventually make holes in it. They then use these holes as transit routes as they go about their destruction. If they chew at your electrical cabling, the damage can be very severe. Exposed cable not only pits you and your family members in danger of electrocution but can also cause the garage door to fail, especially if it operates on a full electrical automation. The biggest danger from a rat chewing on your electrical cables is that the rat gets electrocuted and dies while still in contact with the wires. This is because this can set the poor rat, along with you garage, on fire. Electrical fires have been known to reduce homes into ashes, sometimes with casualties. If you want to keep the rats out, keep the trash out. Rats will only survive in areas where they can find heaps of trash to hide under. Keeping the trash out also denies the rat a place to breed. The second thing you can do is get a cat. Your cat might be all friendly and purring but rats have a way of arousing the animal hunting instinct of cats. Cats not only eat the rats but also scare them away. The third way to keep rats out is by getting traps. If you don’t want to trap them yourself, call pest control and they will give a hand. 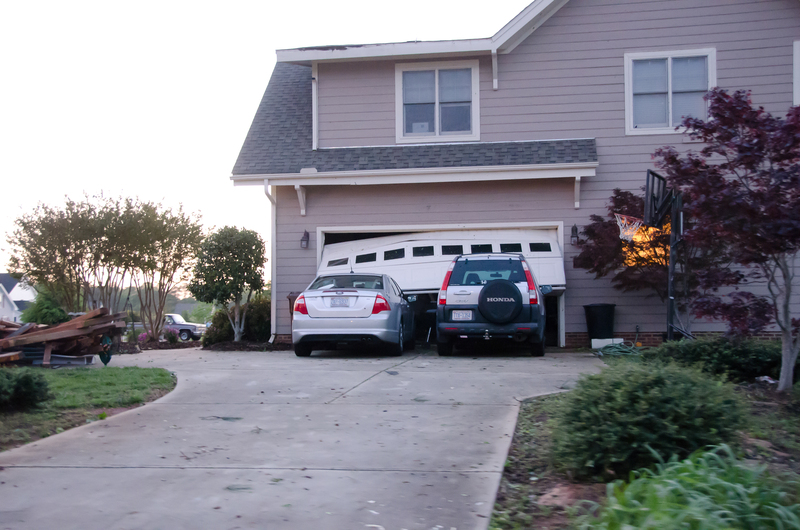 The second way that a garage door can be damaged is being hit by a big force. This can be either your car or any other big force. People who use their garages like workshops face the risk of causing damage their doors as they go about their activities. The easiest way to keep from hitting your garage door is by ensuring that the garage area is well lit. You also need to make sure that you don’t let your kids drive the cars into or out of the garage if they have not learned how to drive properly. If you use the garage as a workshop, consider having an inner reinforcement to protect the main door from being hit as you work. This entry was posted in Blog and tagged damage, garage door. Bookmark the permalink.